Three Hospitalized In Multiple Vehicle Collision On Old Dixie Highway | Schuler, Halvorson, Weisser, Zoeller & Overbeck P.A. 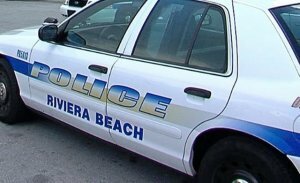 Three people were sent to the hospital after a multiple vehicle collision at the intersection of Old Dixie Highway and West Blue Heron Boulevard in Riviera Beach. Police are investigating a multiple vehicle collision involving three cars at the intersection of Old Dixie Highway and West Blue Heron Boulevard. The southeast corner of the intersection was cluttered with debris from the accident. Emergency services were on the ground to render medical assistance to the injured victims. Authorities say the crash occurred when a Volvo Sedan was traveling eastbound on West Blue Heron Boulevard when it collided with a black Toyota Camry that was approaching the intersection from the northbound lane of Old Dixie Highway. The impact sent the Toyota Camry into the path of a Pontiac Sunfire that was also approaching form the northbound lane of Old Dixie Highway. The Camry collided with the Pontiac before crashing into a signal light pole. A backseat passenger in the Camry, a 12-year-old boy, sustained multiple fractures in the crash and was transported to the hospital in an ambulance. The driver of the Camry had a head injury and a broken radius. He was also taken to the hospital. The third occupant of the Camry sustained minor injuries in the crash and was treated by paramedics on the scene. The driver of the Pontiac was treated for minor injuries and was later taken to the hospital to check for internal injuries. The driver of the Volvo Sedan was also injured in the crash. He is said to be in a critical condition. Eyewitnesses reported seeing a blue Volvo sedan run a red light shortly before the crash. Investigations have been delayed due to the critical condition of the person of interest.